Typically, this column will focus on Amazon Prime Video Canada, Crave and Netflix Canada content, although other services may be listed here when relevant. All 10 episodes of AMC’s horror anthology drama series The Terror are now streaming on Amazon Prime Video. The series, which first ran on AMC last year, tells a fictionalized version of Captain Sir John Franklin’s lost expedition to the Arctic in 1845–1848. The Terror stars Jared Harris, Tobias Menzies, Paul Ready and Ciarán Hinds. A second season set in a Japanese internment camp is set to debut on AMC later this year. This Marvel superhero action-comedy sequel once again features Vancouver’s own Ryan Reynolds as the irreverent, raunchy Deadpool. This time, Deadpool finds himself protecting a young mutant from a time-travelling soldier. In addition to playing the Merc with a Mouth, Reynolds is credited with producing and co-writing the film alongside Rhett Reese and Paul Wernick. The film also stars Josh Brolin, Morena Baccarin and Julian Dennison. It’s worth noting that Deadpool’s cinematic future remains uncertain as Disney is finalizing its deal to acquire 21st Century Fox, the studio that currently holds the rights to the X-Men franchise that Deadpool is a part of. Disney CEO Bob Iger has said the company may allow future Deadpool films to remain R-rated, although it’s too early to tell what will actually happen. Therefore, this may be the last time we get to see Reynolds’ Deadpool in his full violent and profanity-laden glory, at least for a while. Directed by Kim Nguyen, Eye on Juliet is a Canadian drama film focusing on an oil pipeline supervisor named Gordon (Joe Cole) who works in a robotic hexapod. However, his job becomes more complicated than he could have imagine when he falls for a woman named Ayusha (Lina El Arabi), who is trying to escape her engagement to a much older man. Crave’s hit Canadian smalltown sitcom is back with a near half-hour Valentine’s Day special. This time, the Matchmaker returns to Letterkenny to host a speed dating event. Letterkenny stars Jared Keeso, Nathan Dales, Michelle Mylett, K. Trevor Wilson,Dylan Playfair, Andrew Herr return for the Valentimes Day special. Marvel Studios’ 20th superhero film follows Ant-Man (Paul Rudd), the Wasp (Fort Saskatchewan, Alberta-born Evangeline Lilly) and Hank Pym (Michael Douglas) as they fight to rescue the Wasp’s mother (Michelle Pfeiffer) from the mysterious Quantum Realm. Michael Peña, Tip ‘T.I.’ Harris, Hannah John-Kamen and Laurence Fishburne co-star in the film. Note: if you haven’t seen Ant-Man and the Wasp yet but are planning to see Avengers: Endgame in April, you should know that Ant-Man and the Wasp is set to tie into Endgame heavily. All three movies in Robert Zemeckis’ beloved Back to the Future sci-fi trilogy have hit Netflix Canada. Join high schooler Marty McFly (Edmonton’s own Michael J. Fox) and eccentric scientist Doc Brown (Christopher Lloyd) as they use the DeLorean and get up to all kinds of time travel hijinks. Thomas F. Wilson and Lea Thompson co-star in all three films. One of Netflix’s surprise announcements for February 2019 content was the addition of the final four Harry Potter films. Now, you’ll be able to stream Order of the Phoenix, Half-Blood Prince and Parts 1 and 2 of The Deathly Hallows at your leisure. Fans have been asking for Harry Potter on Netflix for a while now, although the streaming service dashed their hopes last year. If you’re wondering why it’s only the final four Harry Potter movies and not the entire series, Netflix says it’s due to “territorial licensing.” For what it’s worth, Netflix U.S. doesn’t have any of the Harry Potter films. All four films were directed by David Yates and star Daniel Radcliffe, Emma Watson and Rupert Grint. Writer-director Brad Bird’s 14-years-in-the-making sequel to his 2004 animated Disney-Pixar hit follows the superpowered Parr family as they struggle to restore the public’s faith in superheroes. However, they soon find themselves facing a new threat that tries to turn the people against all superheroes. The Incredibles 2 features the voices of Craig T. Nelson, Holly Hunter, Sarah Vowell, Huckleberry Milner and Samuel L. Jackson. 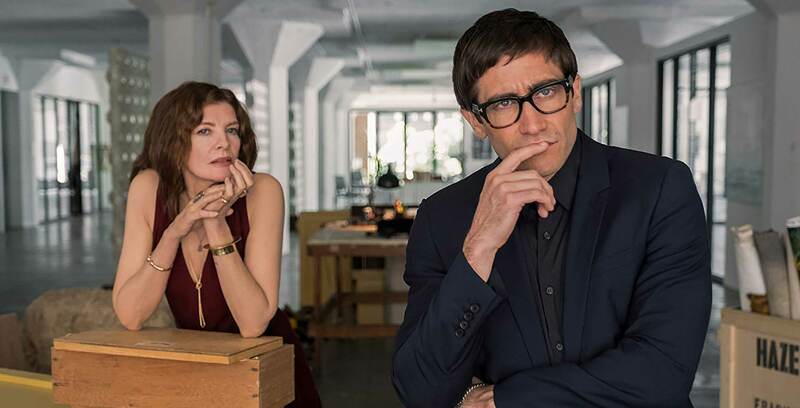 Velvet Buzzsaw, Netflix’s latest Original film, takes a darkly comedic look at the contemporary Los Angeles art scene. Greedy artists and buyers alike quickly find themselves struggling to escape a supernatural force hellbent on revenge. Written and directed by Dan Gilroy, Velvet Buzzsaw stars Jake Gyllenhaal, Rene Russo, Toni Collette and John Malkovich. One of 2018’s most acclaimed films dives into the life of beloved children’s TV program host Fred Rogers. The documentary examines Rogers’ cultural impact through archival footage and interviews with his friends and family. The film was directed by Morgan Neville. The full list of movies and shows hitting Netflix Canada in February can be found here. What are you streaming this weekend? Let us know in the comments below.